I can't tell you how many times I read ingredients lists and everything looks great, until, nearing the end of the list, I spot a preservative I'm not comfortable using. I'm not anti-preservative - there are plenty of reasons why we need preservatives - but there are tons of different choices out there and it can be tricky to know which ones are best. Pretty much everyone knows to steer clear of parabens, but what about all the other options? Keep reading for information on what kinds of products need preservatives, the difference between preservatives and antioxidants, and my thoughts on five of the most common preservatives found in natural products. When do you need a preservative? A preservative is needed anytime there is water in a product. This includes any ingredients that contain water, such as aloe vera, hydrosols, and fresh herbs. Anything with water in it provides a perfect breeding ground for bacteria, yeast and fungus, and therefore requires one or more preservatives to prevent both fungal and bacterial growth. Generally speaking anhydrous products (which contain no water) like balms and ointments do not require a preservative. However, depending on the kind of product, formulators may choose to include a preservative anyways. Something like a balm cleanser, for instance, may not contain any water in the actual product, but it might benefit from a preservative, since it's generally stored in a pot or tub and is likely to have water introduced into it as you scoop some out to cleanse with. It's important to make the distinction between ingredients like Vitamin E and rosemary oil extract, which are antioxidants that reduce the rate of oxidation in oils, and preservatives which inhibit fungal and bacterial growth. Vitamin E and rosemary oil extract are great for extending the shelf life of oils, but if a product contains water, it should contain another preservative in addition to any antioxidants. The main concern with grapefruit seed extract has always been the possibility that it can be contaminated with other chemicals, including parabens, triclosan, and benzethonium chloride. However, even setting aside the possibility of contamination, turning grapefruit into grapefruit seed extract is a process that involves multiple steps of chemical processing, making it more of a synthetic ingredient than a natural extract. I wouldn't say it's the worst preservative out there, but it's a lot less natural than the name would imply. For more details, Stephanie Greenwood (of Bubble & Bee) has a great article that looks at the chemical makeup of GSE and how it is manufactured. The chemical structure of japanese honeysuckle extract is essentially identical to that of methylparaben and the debate over the safety of this ingredient has resulted in many people calling it a "natural paraben." (Diagrams can be found here.) More research is necessary, but studies have shown that japanese honeysuckle extract, when introduced into the human body, behaves much the same as parabens. For that reason, I don't think it's too big of a leap to deduce that it carries many of the same health risks as synthetic parabens. This is an ingredient I avoid. 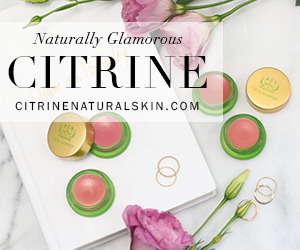 Potassium sorbate is a naturally occurring compound first discovered in rowan berries, but the potassium sorbate used in cosmetics can be of natural or synthetic origin. There are some concerns about skin and eye irritation, but your body is able to completely metabolize potassium sorbate, so I think it is generally a pretty safe option. The downside is that while potassium sorbate is great for preventing fungal growth, it is somewhat less effective with bacteria, so another preservative might be needed, depending on the specific formulation. It also breaks down faster than some other preservatives, so it doesn't give an indefinite shelf life. 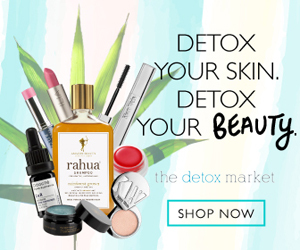 Phenoxyethanol is found in so many natural products!! According to the FDA, it is a preservative, primarily used in cosmetics and medications, that can depress the central nervous system and may cause vomiting or diarrhea. This warning refers specifically to ingestion, so it should definitely not be present in anything used around the mouth. 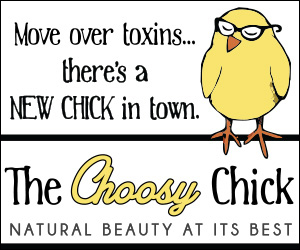 There are also concerns about allergies and immunotoxicity, and phenoxyethanol is considered an irritant to the eyes, skin, and lungs. It's also interesting to note that phenoxyethanol, along with parabens and petrochemicals, is not permitted in ECOCERT-certified products. There is still a big data gap with regards to research on phenoxyethanol, but as of now, it is an ingredient I avoid. 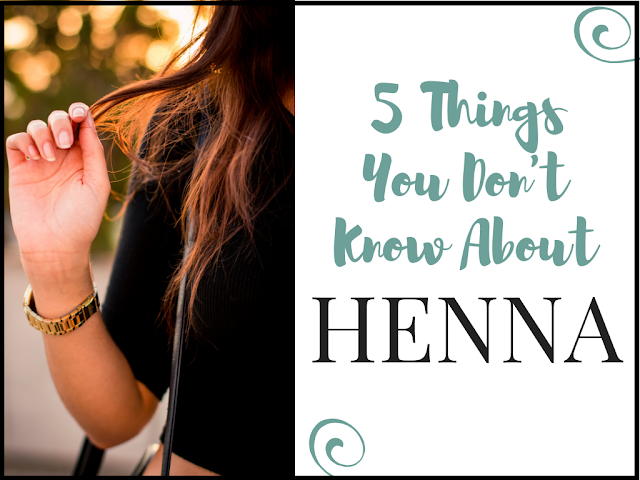 Sodium benzoate is found in apples, cranberries, and plums, but again, this doesn't automatically mean the sodium benzoate in your cosmetics is naturally sourced. Like potassium sorbate, sodium benzoate is more active against molds and has lower activity against bacteria. In terms of safety, there's mixed research on sodium benzoate, with some studies linking it to cell damage and toxicity. It's very important to make sure that sodium benzoate is not mixed with Vitamin C, since when combined, they create benzene, which is has been named as a known human carcinogen. I hope this was helpful! Preservatives are somewhat of a "necessary evil" unless we want to throw out all our products within a couple days of them being made, but, as with anything else, there are safer and less safe options. I haven't done a lot of posts like this, so please let me know what you think. Do you enjoy reading more information-based posts? I really liked this post - I think more informative posts would be great. I am not very vigilant about preservatives, but going forward, I think I could be. I loved this post. Doing research on preservatives just leaves me confused most of the time due to different sources with conflicting information as to whether an ingredient is safe or not. What preservatives are you ok with using? 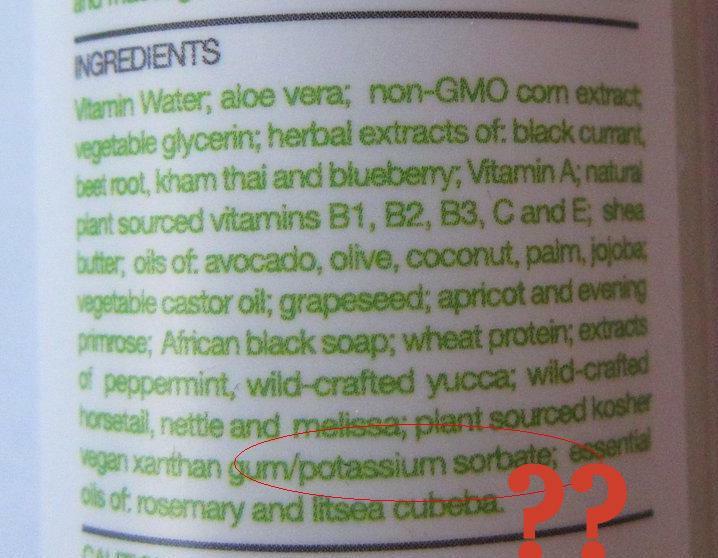 Potassium sorbate & grapeseed extract? @Shopaholic555 - I'm glad it was helpful! Absolutely loved this post, I often times wonder and ponder the same things when it comes to preservatives! Please do more posts like these! Awesome post, this is very interesting information! Also, great job with the links. I really loved this post!! I have been wary of all the ingredients mentioned and it was great to get some info about them. Would love to see more posts like this! This was very helpful! When I first started overhauling my cabinet I knew NOTHING about what I should be buying, other than I wanted to switch to cruelty-free products. 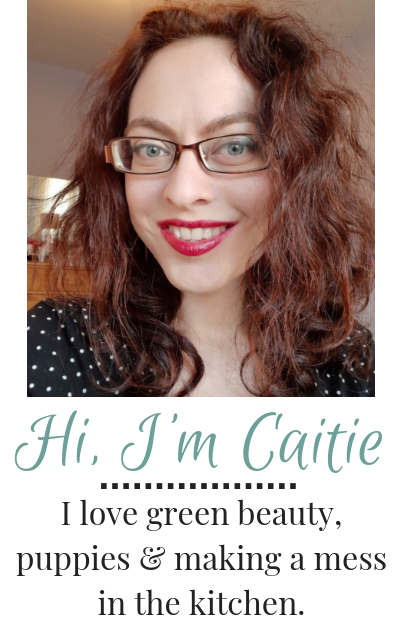 Over the past few years as I've whittled it down more and more I've also started trying harder to use the greenest products I can, but even so I didn't know a lot about the ingredients themselves. 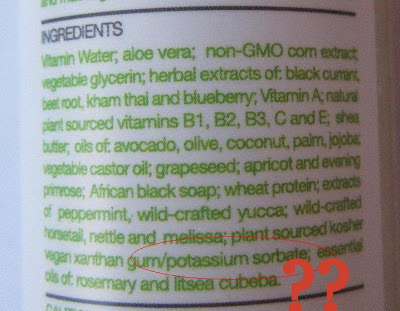 I started looking up a bunch of ingredients via Skin Deep and narrowing my list even more--there are just so many "innocuous" ingredients out there that I didn't realize could be harmful, and since they were in "green" brands I didn't think twice. For example, I bought some "sensitive" lotion for my husband to use on his hands in the winter, when his eczema gets worse--it didn't help at all--come to realize later, it contains limonene, which is an allergen known to some to make eczema worse! I thought by buying a 100% natural product I was in the clear. Knowledge is power. Now I'm much pickier about what I'll buy. Thanks! I'm glad it was helpful :) I consult Skin Deep too, though sometimes they do flag ingredients that I think are harmless as higher up on the scale, so I don't consider them the final answer or anything like that. Thanks for the info.! I've been searching non-stop and I'm still wondering, in addition to antioxidants, what other preservative should be used in Natural beauty products containing water? I don't think there's one answer...you kind of have to just decide which ones you're most comfortable with. I'm a big fan of potassium sorbate, personally, but it does have its limitations too. Thanks Dana! One of my biggest pet peeves is seeing companies claiming vitamin E or rosemary as preservatives. Regular people, I can understand not knowing, but if you're formulating and selling products, it's so not okay not to know this kind of basic info! !